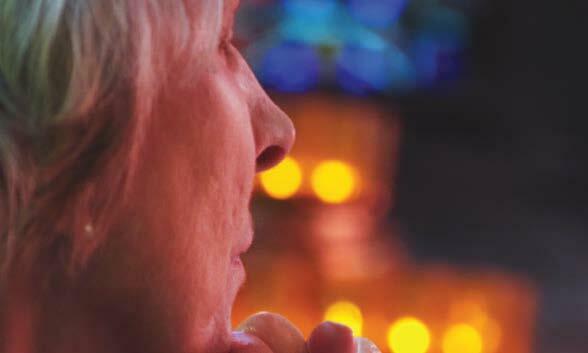 Devotion to Mary transcends generations. It reaches all people, all walks of life, regardless of one’s background. Often instilled in us as a young child by our parents, our faith grows, changes, and develops over time. She was awakened by a soft voice, “Sister, sister, sister.” Startled, she gazed at the beautiful child standing next to her bed; he was surrounded with resplendent light. Meet Cristina Aguilar, who wears a perpetual smile on her face and a thick, silver chain with dangling medals around her neck. A student studying for a master’s in biology at St. John’s University, Cristina believes in the power of the Miraculous Medal. This belief comes naturally to her; faith has always been a part of her family. As immigrants, her family had struggles learning the language and adjusting to their new home. “My father would sit with us for hours, teaching us English and helping us with our homework,” she says. And whenever they encountered problems, they turned to their faith. This past year, they started praying the rosary as a family every day. Distance has not deterred this ritual. Although she’s in college, Cristina picks up the phone and calls home to join. Cristina’s devotion to the Miraculous Medal began when she traveled to the Immaculate Conception Basilica in Washington, DC, for the March for Life. When she saw the Medal, she thought, “I need this.” But she didn’t want to just “wear it for fashion”; she wanted to do something that would have spiritual significance. So, she decided to pray the Miraculous Medal Novena before attaching the medal to the chain. Prayer, reflection, peace. 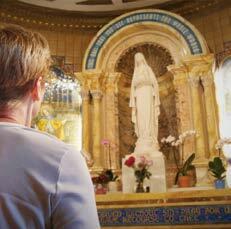 These women have found a home at the Shrine and through the Miraculous Medal. Their devotion is an inspiration to their family, friends, and community. Betty’s story started with her grandmother. A devout woman, she gave Betty a Miraculous Medal ring for her First Holy Communion, which she wore constantly. After getting married, she expanded the back and continued to wear it. When I hold the Miraculous Medal, I feel at peace. When you see someone wearing the Medal, you feel connected— there’s a sisterhood, a brotherhood; we have something in common. 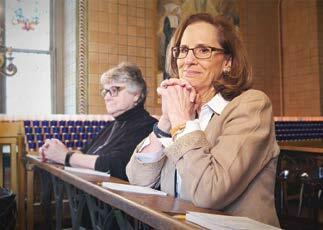 Eleanor Farzetta grew up praying the rosary. “My grandmother lived with us; we never saw her without a rosary in her hands,” she says. The Blessed Mother and St. Catherine created a family— a family connected by the Miraculous Medal. Since 1832, the Vincentians have been promoting the Medal and devotion to our Blessed Mother, creating a family of believers. 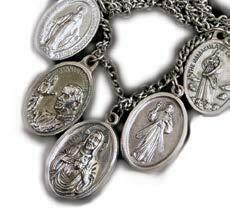 Wearing the Miraculous Medal is a constant reminder that those who wear the Medal will receive great graces.